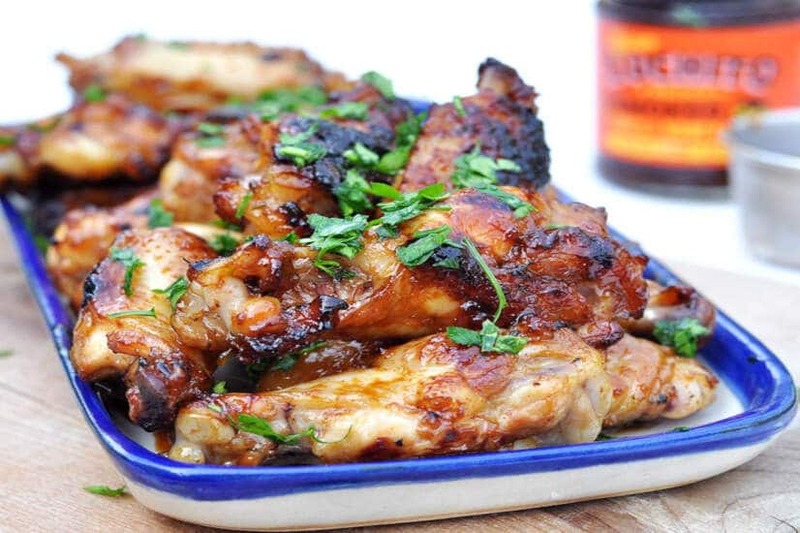 You have simply got to try this honey chicken wings recipe if you’ve got our Chipotle Honey. The sweetness of the honey combines perfectly with the salty umami from the soy. Whether you’re barbecuing or just cooking them up in a griddle pan, these are guaranteed to please every time. If you’re having a party try serving the chipotle honey chicken wings with a side of Bacon Onion Rings and some beef nachos. The crowd will go crazy. The key here is to leave the wings marinating long enough for it to make a real difference. 24 hours is ideal if possible. In a large bowl, combine the Chipotle Chilli Honey, spring onions, ginger, soy sauce (& fish sauce if using it), thyme, salt & pepper. Add a splash of hot water to loosen the marinade a little. (Alternatively you could just blitz all of these ingredients in a food processor). Before you add the chicken wings, you’ll need to cut them along the joint to separate each wing into 2 pieces. This will make eating them much easier and enjoyable later on. Add the wing pieces and cover with the marinade. Leave in the fridge over night. 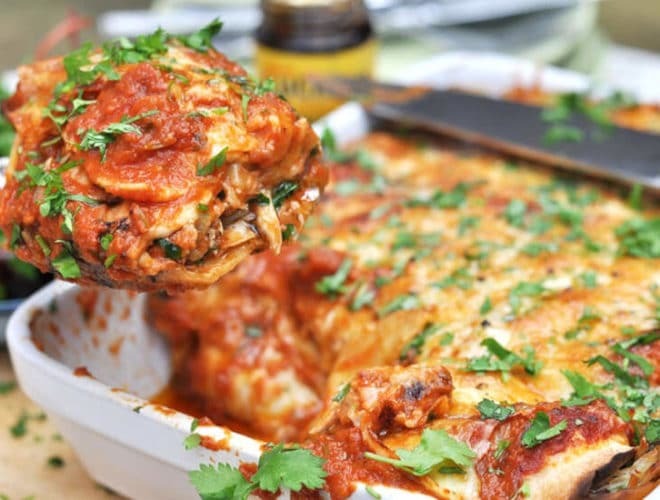 When ready to cook, pre-heat your oven to 200C. On the hob, heat a griddle pan until it’s very hot. No need to oil it. (Or if using a bbq, get that it nice and hot). Add the chicken wings (you’ll probably have to do this in batches) and leave to get some good colour/caramelisation before you move them around (take care not to burn though!). They should be in the griddle for about 15mins. Once they’ve got a bit of colour all over, transfer them to a on a baking tray, brush with marinade again, and put in the oven to cook through. Cut open a large wing to test if cooked (they should be in the oven for about 15mins). Serve on a big plate, sprinkle with some chopped spring onions and enjoy.